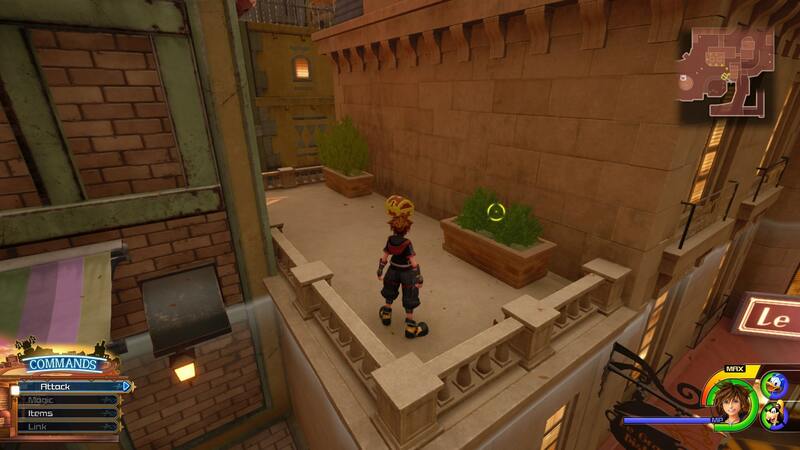 Twilight Town is back for Kingdom Hearts 3, and it’s looking better than ever. This chapter sees the introduction of the Gummiphone, and lays out some pretty awesome cooking segments too. 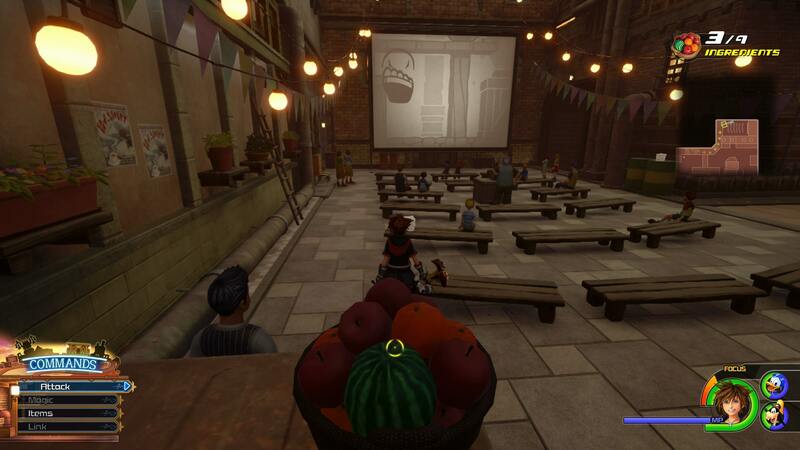 To help you through it all, particularly one pesky segment involving an ingredients scavenger hunt, we’ve put together this Kingdom Hearts 3 Twilight Town Walkthrough. We’ll lead you through the level step by step, let you know where to collect 9 ingredients for Little Chef, and highlight the maps and chests hidden within. 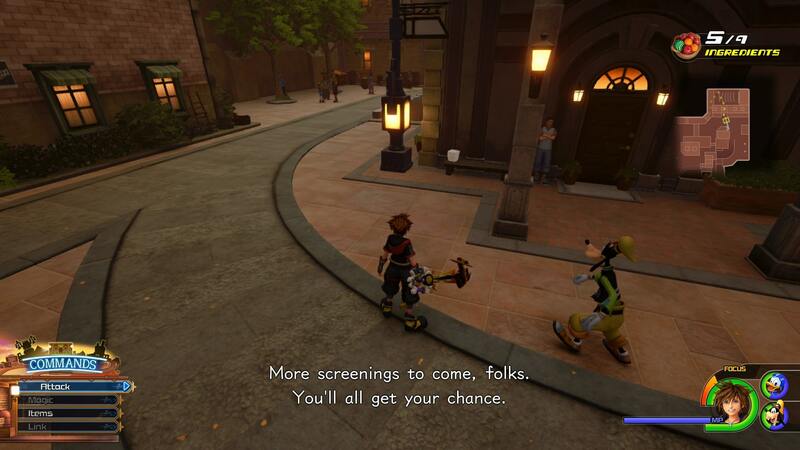 If you’re looking for more help with Kingdom Hearts 3, you’ll want to head over to our Kingdom Hearts 3 Guides Hub. 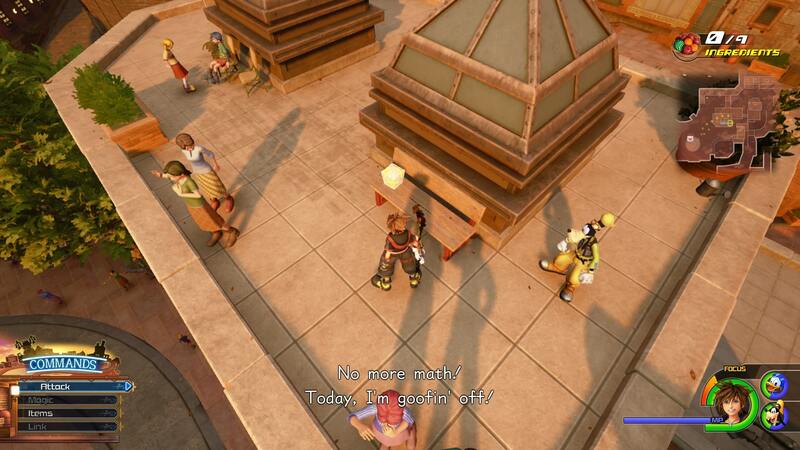 It’s where we’re collecting links to all of our Kingdom Hearts guides content. 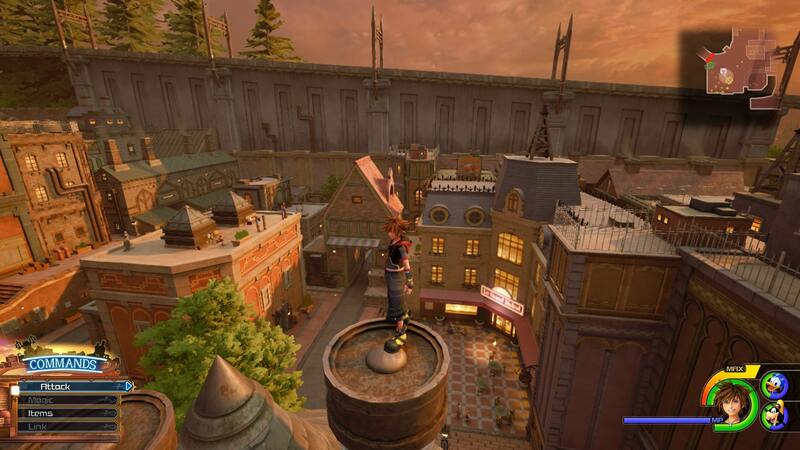 From a look at Keyblades, to walkthroughs of each world, we’ve got you covered. 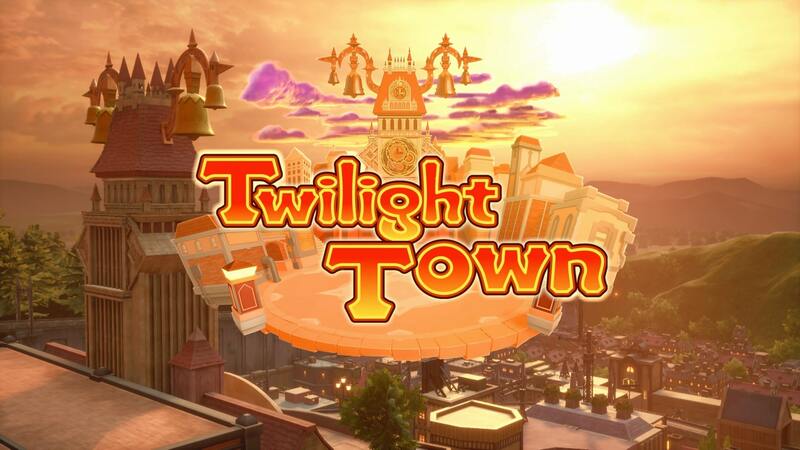 Fans of the original Kingdom Hearts will remember Twilight Town, a town caught between light and dark. Well, it’s back, and has been paired with Ratatouille of all things. 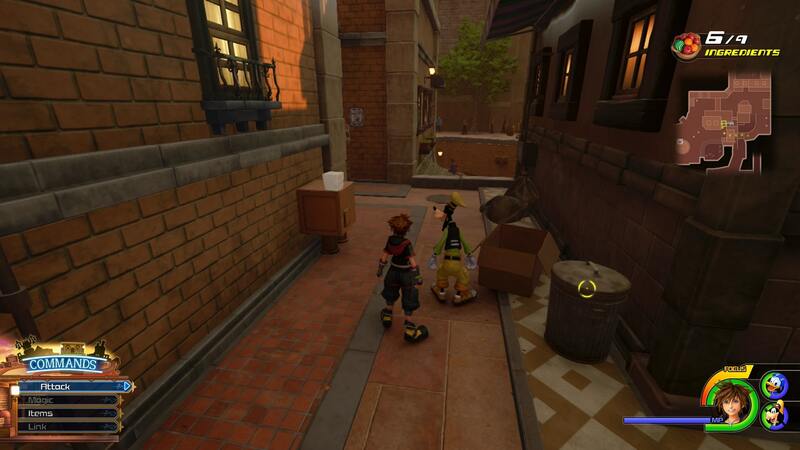 There’s a fair bit to take in and find here, so be sure to use the Kingdom Hearts 3 Twilight Town Walkthrough below for guidance. 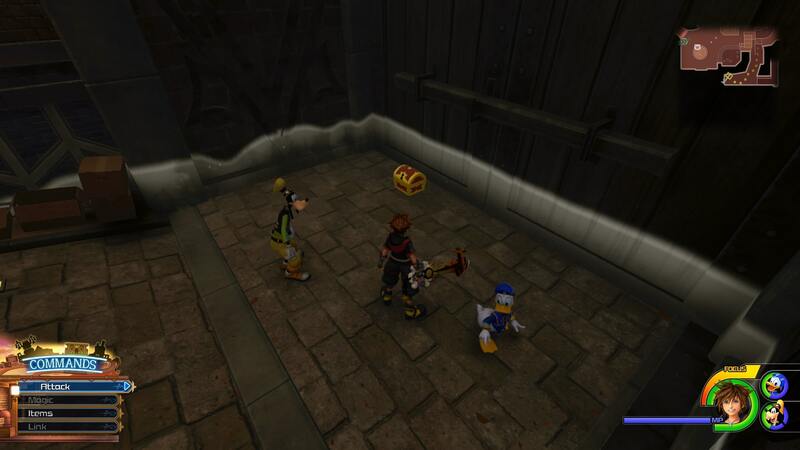 Prior to arriving in Twilight Town, you’ll have been given the Gummiphone. This can be used to take photographs while out exploring. Mostly though, it is for photographing Lucky Emblems. For full details on Lucky Emblems, head to our Kingdom Hearts 3 Lucky Emblems Guide. To pull out the Gummiphone, press the touchpad on PS4, or the Change View button on Xbox One. Once you’ve lined up your shot, press RB/R1 to take a photograph. You can save up to 100 photos in your photo album. 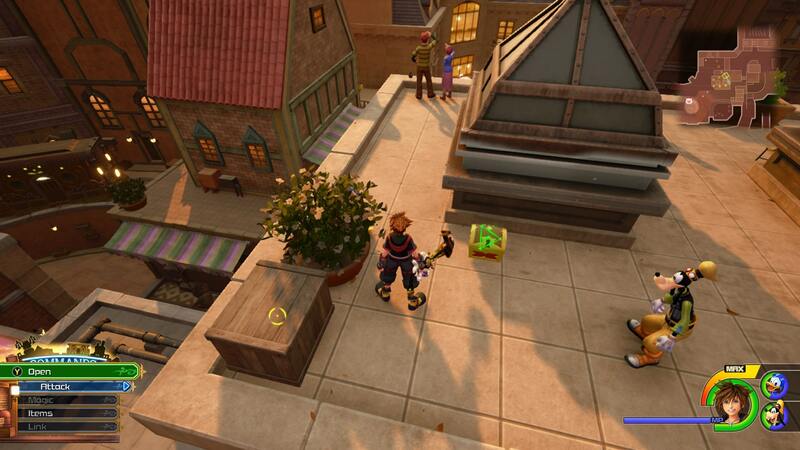 Your first task in Twilight Town is to defeat a huge cloud of enemies that is plaguing the area. Use the buildings to get an aerial advantage, and remember your projectiles. This area is called The Neighbourhood and is made up of a collection of buildings. You can run up the majority of them, so be sure to explore the area a bit before progressing. 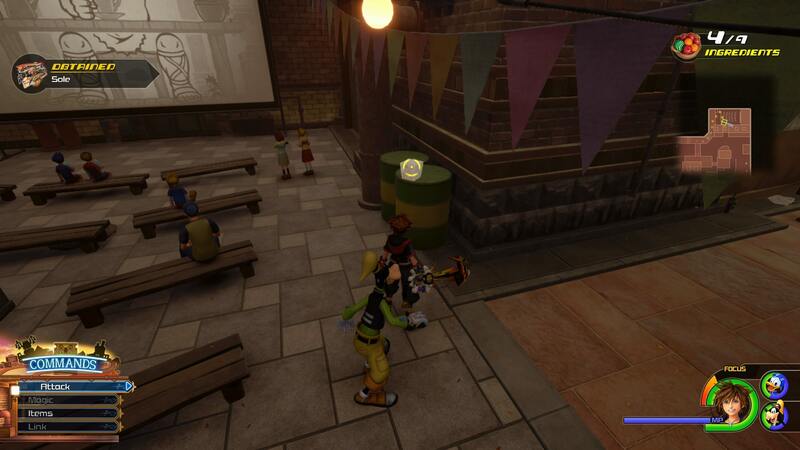 The Shop in this area is the first where you can use the Keyblade Forge. 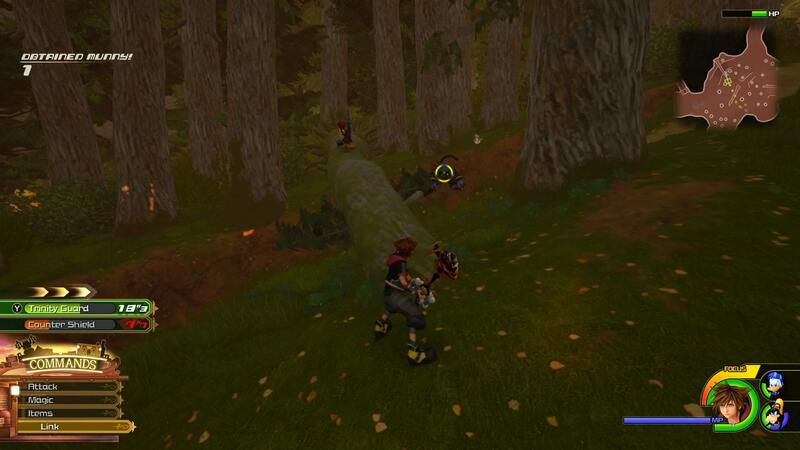 This allows you to upgrade the Keyblade of your choice, using materials found and synthesized. The chest in the starting area is where you can get the map from. There are more four chests to find in the immediate area. We’ve included screenshots of them above and below this paragraph. Use your map to work out the exact positions of them. Head into the Underground Conduit, it’s to the North East. 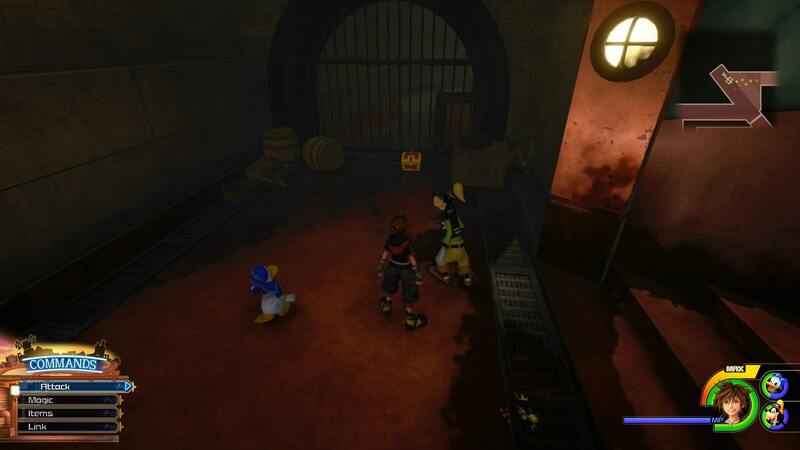 Follow the sewer system around until you reach a set of stairs, there’s a chest on the left. Leave the sewers and head out into the woods. After a brief cutscene introducing Little Chef, you’ll want to move forward through the woods. There is a chest to the Western side of the map, on an overturned tree. From here it’s just a case of heading out of the woods and into the mansion. Before you go in, get the chest that is just to the right of the entrance. There’s also a Save Point on the left. Go to the door and trigger the cutscene. Now you’ve just got to head back to town. 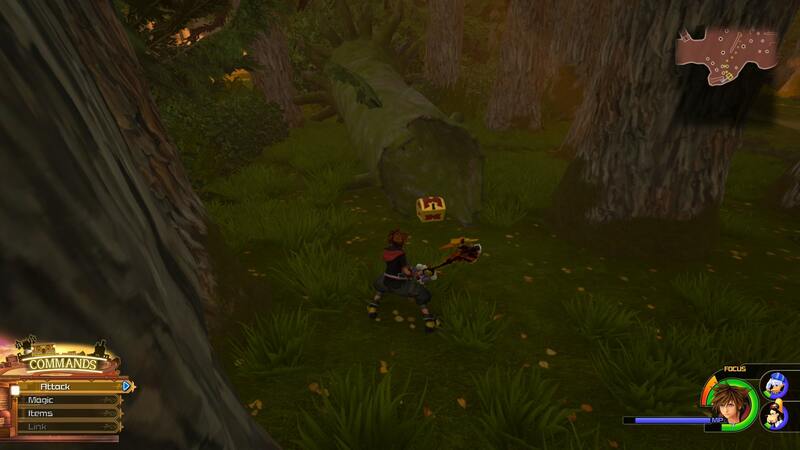 Go back through the woods, there’s a chest in the southern part of the map, in a hollowed out tree. Move back through the Underground Conduit, and back to town. 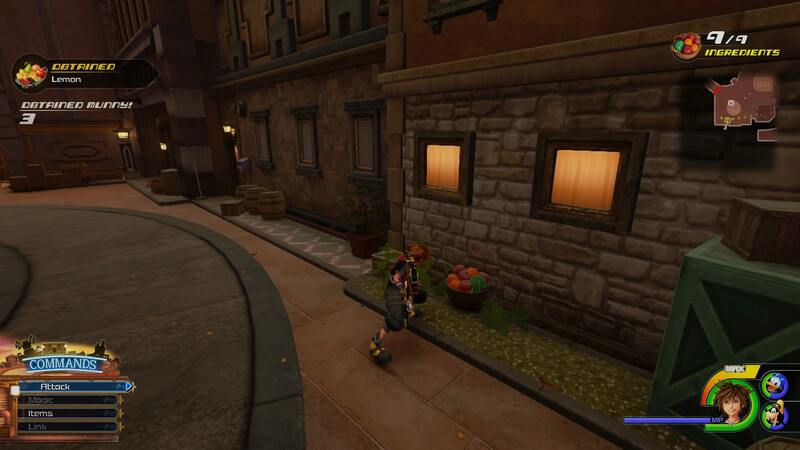 The last thing to do in Twilight Town is to find nine ingredients for Little Chef. These are usually found in small takeout boxes, and you just have to hit them to release the ingredients. To help you find them, we have screenshots of all nine ingredients. Once you’ve collected these, head back to Little Chef to give them the ingredients. 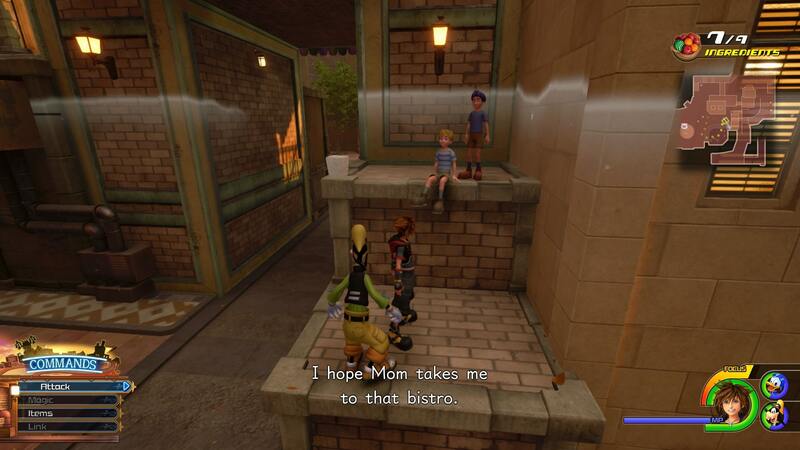 After this, you can go to the Bistro to try your hand at cooking, but if not, then just exit out to the world map and continue onwards. 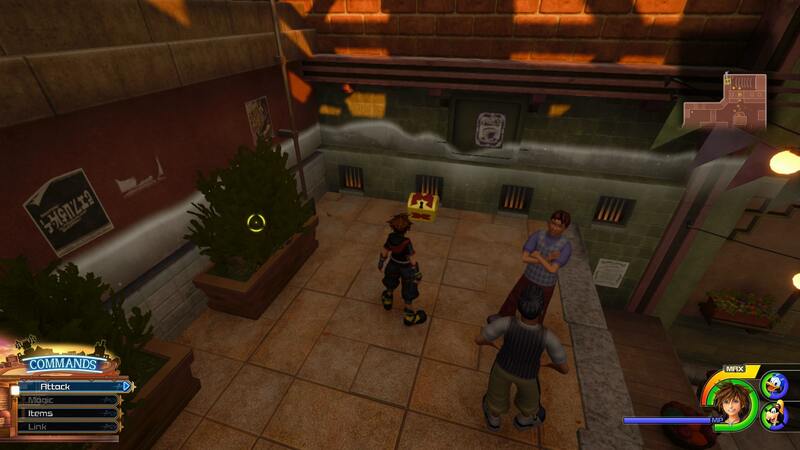 There are only two maps to find in Twilight Town, and they’re extremely easy. 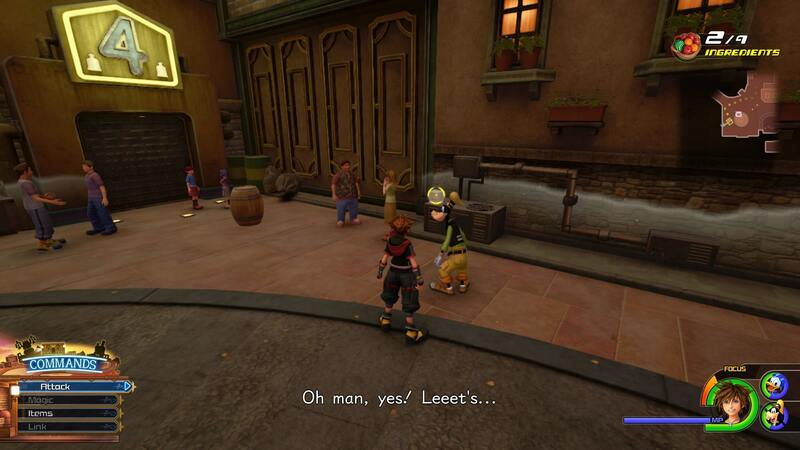 The first is found upon arriving at Twilight Town, in a chest in the starting area. The next one is for the woods, and is once again in the starting area, easy! We’ve included all of the chests that we’ve found in the walkthrough above. We’ll be doubling back once we’ve completed the game, so will be adding in any that we missed if applicable. 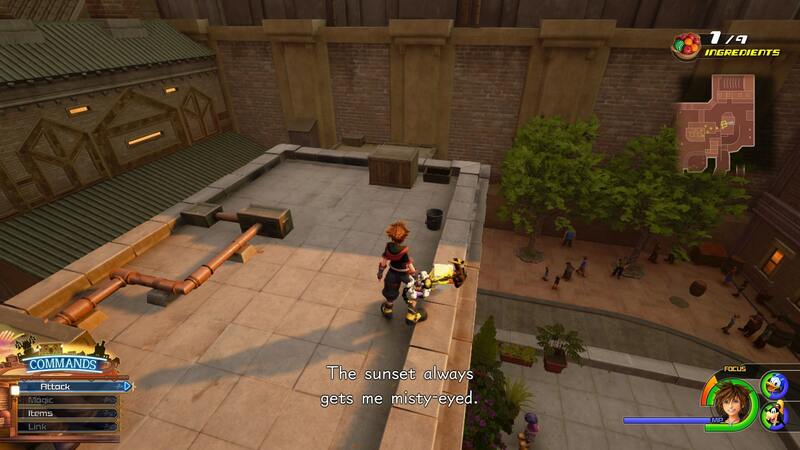 That’s everything you need to know about Twilight Town in Kingdom Hearts 3. For a breakdown of all of the Lucky Emblems we’ve found so far, visit our Kingdom Hearts 3 Lucky Emblems Guide.